Archive for the ‘Wealth’ Category. 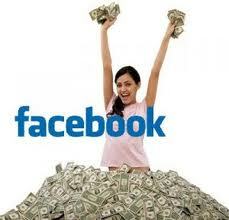 Don’t feel Envious of all the new Facebook Billionaires, learn from them! Feeling all depressed and envious reading and hearing all the endless talk about Facebook’s 100 billion IPO? Don’t be, or at least try not to. As much as I believe the hype and valuations are highly unjustified, I still say good for Facebook and its founder Mark Zuckerberg. To be able to create a company from a dorm room and take it to what it is today-over 800 million members and close to 4 billions in revenues last year-is nothing short of spectacular. But amidst all this hoopla, I am sensing that this Facebook IPO entry is causing some depression and negative feelings for many out there. I am observing this from all the hundreds of commentary I am reading online, not to mention all the editorials and articles from professional bloggers on some well-respected news sites. Some are downright jealous, while others’ feelings are simply centered on envy and wanting a piece of the pie. Some are very logical in their approach to the whole thing, arguing what I did earlier, that the whole thing is not justified. And I probably can’t blame them at times. One story I read of people becoming instant millionaires and billionaires from Facebook’s IPO was that of an artist whom the company had hired in 2005 to do some murals for the company’s building at the time. He was given the option at the time to be paid either money or stock options. Luckily, he chose the latter and that means his wait and patience will make him an instant $200+ Millionaire! These people did put some effort and time to get the money they are getting. Of course, luck has something to do with it too. But the point is, this is capitalism at its best-or worst-and these people are reaping the benefits. In other words, they are much better than lottery winners in that they did work and sweat for this money and it didn’t come with no effort. Whether the valuation is justified-I don’t think it is-is another question. So we can’t just feel bad for not having a piece of the pie. Why should we, it is not like we worked at Facebook and deserve some of this crazy money. The other reason why feeling negative about the whole thing doesn’t help, is that it can only make you more miserable. Think about it: if you constantly drool and envy these new young billionaires, it will make almost anything you have and own seem worthless. Because it is simply nothing compared to what they have. If you have $10,000 in the bank, a Honda civic and a one bed room condo, these billionaires will have $1billion in the bank, with couple of Farris and Porches and probably one or two mansions. Relativism at its best. What you have is probably not bad for your situation, but once you start comparing, it becomes nothing. Remember, envy is one of the 7 deadly sins! Find a job you like or better yet, study to work in something you like and can make you good money. And when you are in the right position, with the right attitude at the right time, you will also be in a position that others will come to envy. In other words, you can sometimes create your own good luck. The likes of Google and Facebook are rare. They come once every decade or so, and between them, you have literally hundreds of thousands of average or even failed companies. Be happy with what you have and if you are not, work smart and hard to make it better. Looking at what others have and being envious, without doing anything yourself, is self-destructive. The least you can do is to stop wasting your time on the site and do something productive instead. Really, you are just wasting your time. Spend it on something more productive that can actually give you some monetary returns. Or, you can buy Facebook stocks yourself and hope that they will go up and make some money. Want to become a Millionaire? Go Big, have Luck, be Patient and get Going! Although a million dollar is not what it used to be, I say a million is a million, and it still sounds cool and very cha-chingy! Becoming a millionaire is still a dream for millions of us in this country and everywhere else you go-well, exception are those countries whose smallest denomination money starts at a million! There is just something very cool about the word. If you were to ask people about having $999,999, I bet you it wouldn’t sound as cool as $1,000,000 even though only one dollar separates the two. OK, so if having one million dollar or more is very cool, the next question is, how do we get there? Can a salaried 8-5 job get you there in one lifetime? Individually or with a partner? Are you doing this by yourself or with the help of someone else, say a business partner, a wife etc.? Certainly, having someone else beside you will make your job a lot easier, but at the same time, it will mean sharing that money with that person. So you may not be or feel like a real millionaire after all. But as a challenge, having a business -or life- partner will make the job easier. If you have a spouse who has a good job, you can then focus all your attention on your own high return-and high risk-investments, without having to worry about feeding the family and paying the rent. If you ask 100 random people, almost everyone will tell you that they would love to be a millionaire. But the real question is, which one of these 100 people will actually put the effort to peruse the dream of having one million dollars or more? it is one thing to want it and quiet another to want it bad and work to get to it. Unless you are lucky and win a lottery, the only way to get to one million is through hard work, persistence, patience and a very passionate drive to achieve this at almost any cost! Can I get some luck with that? If you ask or read stories of how some people got to becoming millionaires, and in addition to all the other traits they possesses, they generally had some luck on their side. Whether it is that deal that fell at the perfect timing, landing the perfect investment opportunity, or being at the right place at the right time, luck had a big part to play in helping them get to the top. Are you a lucky person? better yet, do you think luck is on your side? I know, some of you are probably thinking “I can’t just create my own good luck” which is generally true. But if you come to think about it, you can create some luck-or at least a perception of good luck-by thinking positively. In other words, you create the ideal conditions or environment for luck to be on your side. The cool thing about getting to a million dollar is that you can get to the next million a little easier. The money just multiplies easier than before. But as I have already explained, getting to that million takes a combination of things, most of which you may already have, but all depends how you apply them. Take it from me. I am not a millionaire, but I am working to get there. Hopefully in this lifetime. Ok, time to go check my lottery ticket for Friday’s draw.